I was driving around the beautiful New Jersey Shore when I heard on National Public Radio that the Monarch butterfly populations were in serious decline. The reason? What else? Pesticides, GMO’s and land development! One more things of beauty in the ecosystem that is collapsing due to humans acting unconsciously. When I got home, I read the in depth articles below. I suggest you read them, but sufficed to say, milkweed is the plant the monarch larvae feed on and it’s disappearing. One way we can help them is to plant milkweed in our own gardens and landscapes. You know me, I go on a crusade. I’m the Joan of Arc of Nature….so that is exactly what I’m going to do. And I’ll blog my experience for you. Won’t you join me? 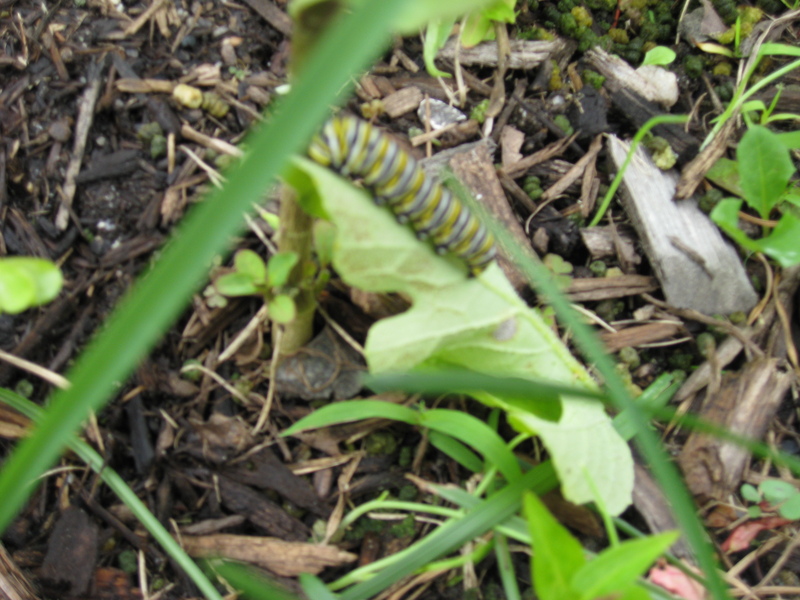 I invite you to join my “Save the Monarchs” Butterfly Backyard Project and blog about it too. Be sure to post your links in my comments section and let’s do this! This is where I purchased the seeds. The company was mentioned in the article I read. 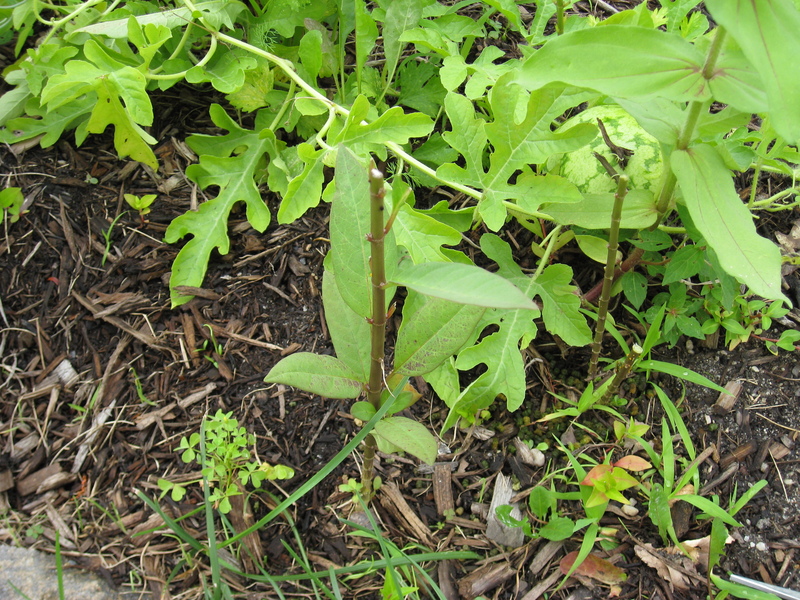 The website has a lot of useful information and detailed descriptions of the different milkweed plants. Important Precaution: One thing I wasn’t aware of was milkweed has a toxic substance to it’s sap, which protects the butterfly that eats it, so you have to be careful handling it and seek medical attention if ingested or if it gets into your eyes. Read more about the precautions on the Butterfly Encounters website. So, where am I at with my little project right now? My order came quickly and I have planted the seeds in seed starting flats outside. I finally put the milkweed into the garden this week. It is so late that I don’t even know if it will help at this point. I was in San Diego on business and then the weather here in New Jersey has just been so wet, hot and humid, it was tough going to be out in the yard. In the garden we call The Divider we have mainly tall pines, lemon balm, roses, strawberries, hydrangeas, hollies and a magnolia we call “Stumpy.” Stumpy was rescued off of the curb. A neighbor just threw him out. Because of this, his top died. Just picture my husband carrying this tree and it’s root ball down the street. We cut it off and gave him some TLC. And yes, we pointed out Stumpy in all his lushness to the neighbors who tossed him. heh. 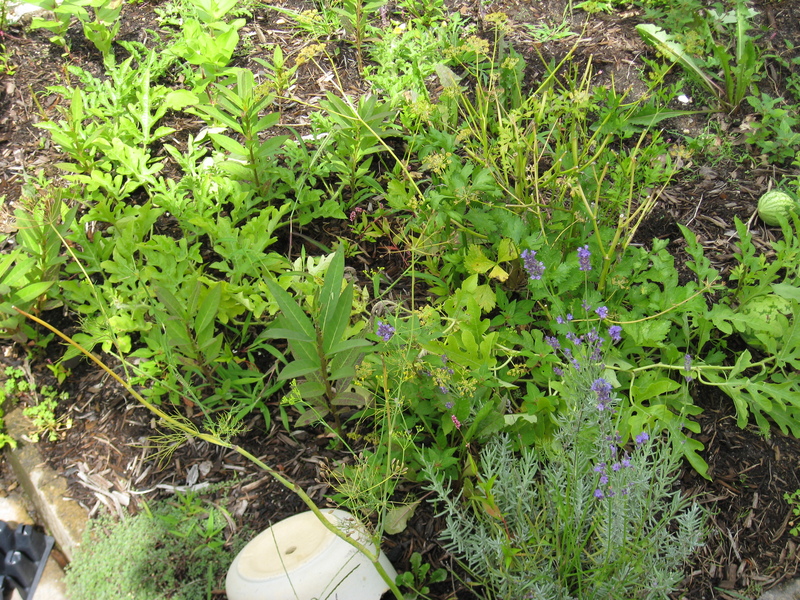 I planted some milkweed there too, because there is a luscious butterfly bush there, and I wanted to be sure the butterflies were aware of the little nursery we are trying to start for them. These are some of the common milkweed seedlings transplanted into larger pots until I figure out where I want them to go. There is a gully up the road, and I thought to plant them there to establish a wild milkweed area in the woods. But the thought of leaving them unattended and perhaps dying makes me hesitate doing that. I’m like a momma to my seedlings. 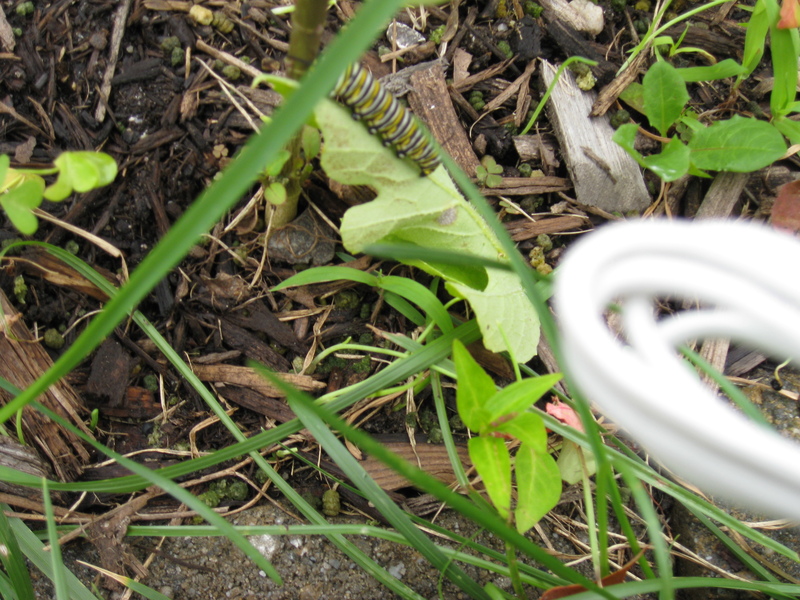 I found some additional sites for further reading about the monarch crisis and planting milkweed for them. We are all dependent to each other. I have always said, when I retire ( I know.. I know…as if!) I will keep bees.I have always been fascinated by them and feel a deep connection. As a child, you could find me rescuing them out of pools of water before I took my swim. To this day, I have never been stung. You see, we have an understanding, the bees and I.
Bonnie Diczhazy wrote “Honey Bees are amazing insects that have evidently distinct roles. As the climate changes and global warming hits hard honey bees are on the decline. In some places the flowers that once emerged in spring are now out in winter and the bees are missing out on vital nectar to survive.